This article first appeared in Options, The Edge Malaysia Weekly, on April 24, 2017 - April 30, 2017. 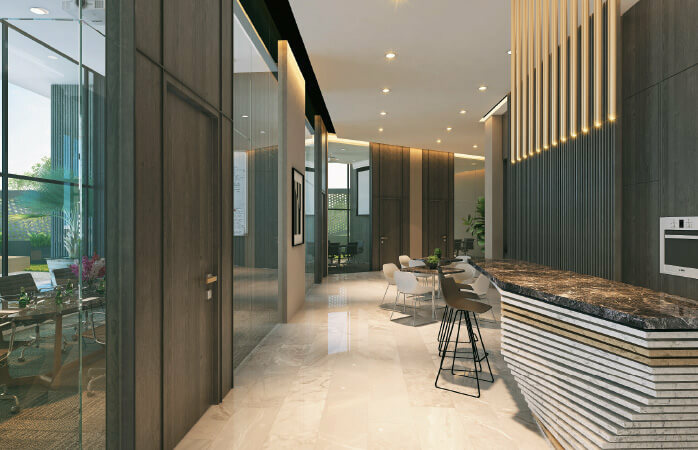 ONE of the latest and most interesting developments coming up in the Klang Valley is KL Metropolis, a city within a city built on a sprawling 75.5 acres of prime land strategically located and surrounded by the townships of Damansara Heights, Sri Hartamas, Mont’Kiara and Bangsar. A futuristic master plan encompassing both commercial and residential facilities, KL Metropolis is also notable for its 8.5 acres of green landscapes, open lawns and sculptured parks, creating an architectural marvel built for year-round enjoyment, with sustainability in mind to last the ages. 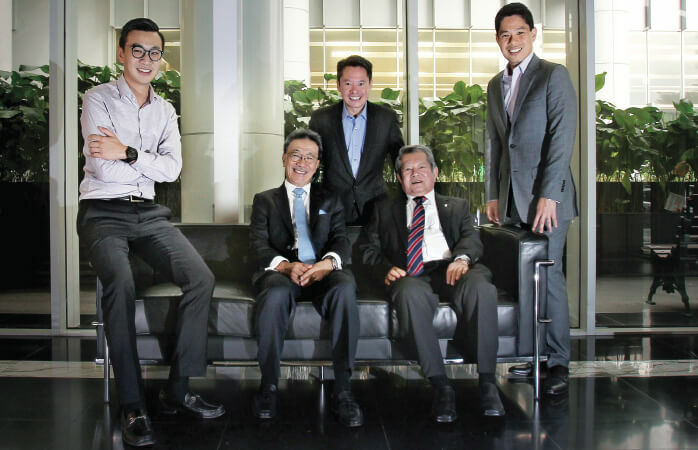 One of the partner firms working together with project owner Naza TTDI on KL Metropolis is the Triterra Group, which is a collaboration between two prominent business tycoons — founder of well-known Penang-based chartered accountancy firm Kiat & Associates Datuk Wira Lim Teong Kiat and property industry veteran Datuk Seri Michael Yam. Both are joint chairmen. The news of this new union piqued our interest — what interest does an accountant have in a development of this scale, and why would Yam get back into the property game so many years after leaving it? To answer this question, Options invited the two gentlemen over to The Edge office one rainy evening. They arrived with a whole contingent in tow, consisting of their sons — charming and intelligent young men who have inherited much of their fathers’ personalities, albeit with typical Chinese reverence and humility. We find them to be chatty and warm, the genuine affection between fathers and sons touching to watch. As everyone gets comfortable in one of The Edge meeting rooms, we quickly get acquainted with the two family trees — Lim’s sons are Daniel and Chris (his third son Andrew was unable to make it for the interview) and Yam’s is James. There are business cards strewn across the table, but fortunately fathers and sons share similar genetic codes, so remembering who is who is not too trying a task. We start with the easy stuff — how the collaboration came to be. Everyone looks respectfully — and expectantly — at Lim, the most senior person in the room. He clears his throat and straightens his jacket as he sits up and begins. Yam, who was CEO of Country Heights Holdings and subsequently Sunrise Bhd, has been out of the property game for the better part of eight years. As a non-executive board member of Standard Chartered Bank Malaysia, Malaysia Airports Holdings and the immediate past president and patron of Rehda (Real Estate and Housing Developers’ Association Malaysia), not including several others, he was not planning on getting back into the industry anytime soon — until he found out who his potential partners would be. When asked about Triterra, the company that resulted from this partnership — which we are told was informally agreed upon over a good meal and some whisky — Chris steps in to reply, after nodding respectfully in his father’s direction. “We believe that the new wave of companies should be driven by three generational pillars. Datuk Wira and Datuk Seri have achieved all these successes, they have shown us how to work up the corporate ladder. We call them the stewards of the company and the rest of the pillars have to work hard and ensure the success can continue. So, we have worked up three generational pillars that are stewardship, relevance and sustainability. That’s how continuity can grow in this organisation. “We drew these three values from the earth — ‘terra’ comes from the Latin word for earth. There are three generations working from it as we learn from the past, see what is happening now and develop for the future,” he continues. There are a lot of shared values between the two families, who represent a very old-fashioned way of doing business that is steeped in respect, familial piety and hard work. “The bond of family and integrity are values that carry you through and those are the first few things that checked out,” says James, who carries himself in the same elegant way as his father. “We would like people to know that Triterra was born out of these two stewards who so graciously gave us the opportunity to carry on their legacy. The principles of Triterra that the two families are aiming to establish also stem from the evolution of the industry and how the players have moved from purely construction companies to community developers. “If you look back from the 1970s, most developers were small back then but now they are conglomerates, they have gone overseas and built townships in our Asean neighbour countries. What that means is that personal touch may have been lost along the way. Nothing bad — they have got stability and macro concepts — but we thought that there is always a market for the personal touch, the micro details, the finer things, the life in the development,” Chris says. 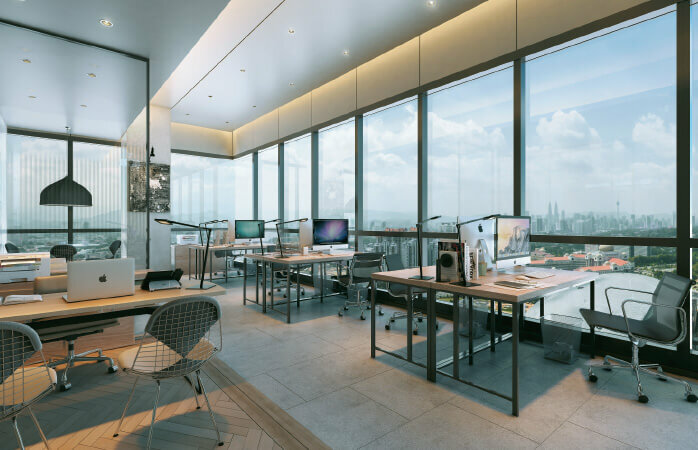 Triterra’s contribution to the KL Metropolis project is a premium grade corporate landmark building, The MET Corporate Towers. 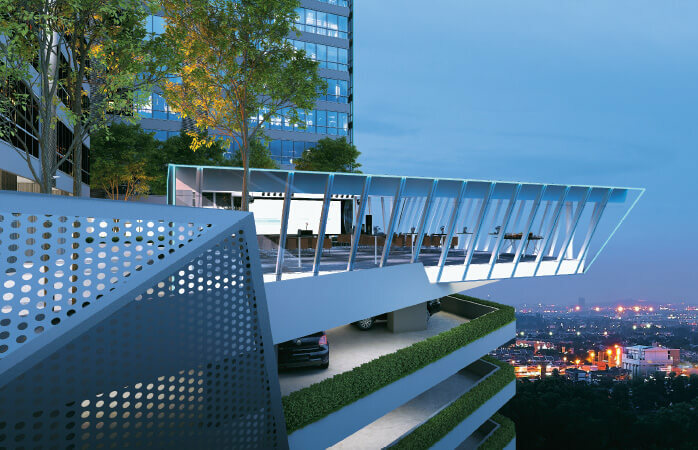 Dramatically different to anything seen before in the Mont’ Kiara landscape, this development aims to create a commercial environment that delivers success for tenants that value a prestigious business address and the best possible retail and lifestyle amenities. There are already plans in place for what comes next, but again, we cannot convince them to allow other information to see print. All we can extract is that it will be a mixed-use development of some kind. At the end of our hour-long interview, we move to the lobby of our office building to get some pictures taken. The rain has intensified, casting a dour light on our surroundings, but ­nonetheless the pictures turn out remarkably well. We put it down to the genuine camaraderie shared between the two families, across both generations. They laugh and share cheeky jibes among each other, but retain a cordial respect that colours all their communication. Dinner plans are made as The Edge senior photographer Mohd Izwan Mohd Nazam does his work, and we are also issued invitations to join them — it is Indian food at the white-hot Flour in Damansara Heights that night. After all, they are nothing, if not Malaysian, and who can turn down a spot of curry on a rainy evening? Conflicting schedules did not allow us to accept, but we promised that the invitation will be returned. We are eager to see how the KL Metropolis project has moved along, and more importantly, how else this multi-generational family partnership continues to change the face of property development in Malaysia.